Send a freshly baked, delicious cheesecake with flowers! Our cakes are the perfect gift to surprise your loved one, friends, and office party to make the celebration extra delicious! Cheesecakes include birthday cakes, anniversary cakes, office cakes, and more ! Our cheesecakes are best selling. The cheesecakes are so good, we'll guarantee you will be coming back for more. The decadent, moist layers are prepared with the finest ingredients. 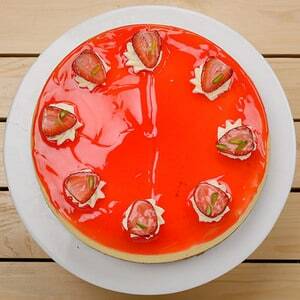 We have cheesecakes for all occasions including birthday party, office party, family gatherings and more. We source cakes from leading bakeries across the UAE including Pastel Cakes, Crumbs and more. We have hundreds of cakes online and do deliveries in Dubai and Abu Dhabi.